Have you heard of Amanda Logan? 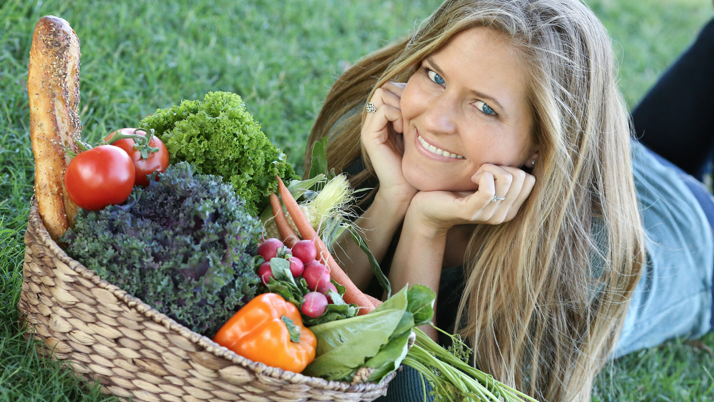 She’s a vegan food blogger Mom and new author. 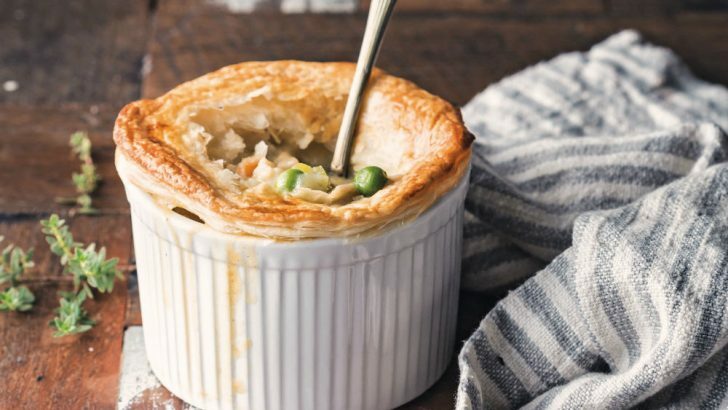 Her cookbook “Great Vegan Meals for the Carnivore Family” is full of amazing and classic recipes that your non-vegan loved ones will love, like this fantastic vegan chicken pot pie! Trying to make food for carnivores is no easy task. They are usually after that meaty texture and robust, rich flavor and, sometimes, have a predisposition not to like the vegan food that’s about to be served. This is why Amanda’s book is so genius! Having those amazing yummy recipes ready for you to take on and spare you the stress is priceless. The richness of the butter and the texture of the mushrooms will make you forget you’re eating a plant-based pie. And using the ready-made puff pastry is so easy, you can always have it available for you in your freezer and cook this pies spontaneously when you’re out of ideas. Wipe the king oyster mushrooms down with a clean cloth to remove any grit. Chop 1 inch (2½ cm) of the stalk to remove the tough base. Carefully but firmly drag the prongs of a fork down the length of mushroom to shred the “meat” (this is easier if you lay the mushroom down). Place in a bowl and gently stir in the tamari, then set aside. Melt the vegan butter in a large pan over low to medium heat and add the onion, carrots, celery and garlic. Cook for around 5 minutes or until the vegetables are tender. Stir in the flour and cook for another 3 minutes, stirring occasionally. Add the vegetable stock, thyme and bay leaves and stir in the milk, pepper and sea salt. Bring the mixture to a simmer. Stir in the shredded mushrooms and reduce the heat to low. Cook the pie filling for 10 minutes or until the liquid has reduced to a pie gravy consistency. Remove from the heat, stir in the peas and set aside while you prepare the puff pastry. To prepare the pastry, place a ramekin or pie pot upside down on the thawed pastry and cut a circle a half-inch (1-cm) larger than the dish lip. Repeat with other ramekins. Fill each ramekin with pie filling before laying the pastry over the top. Gently press the edges of the pastry to the side of the ramekin and cut a small slit in the center of each pastry top. Brush a small amount of dairy-free milk on top (not the sides) of the pastry and place the pies in the oven for 15 minutes or until the pastry top is golden. Don’t get stuck on stock! I have to admit that when a recipe calls for stock, I tend to lose interest, not because I don’t like it but because somehow I always associate it with lots of work. Finding vegan stock in the shops wasn’t much of a possibility a couple of years ago, and the thought of making my own just turned me off! I promise making your own is not hard at all, but the idea of having something simmering in the kitchen for hours made it seem complicated to me. 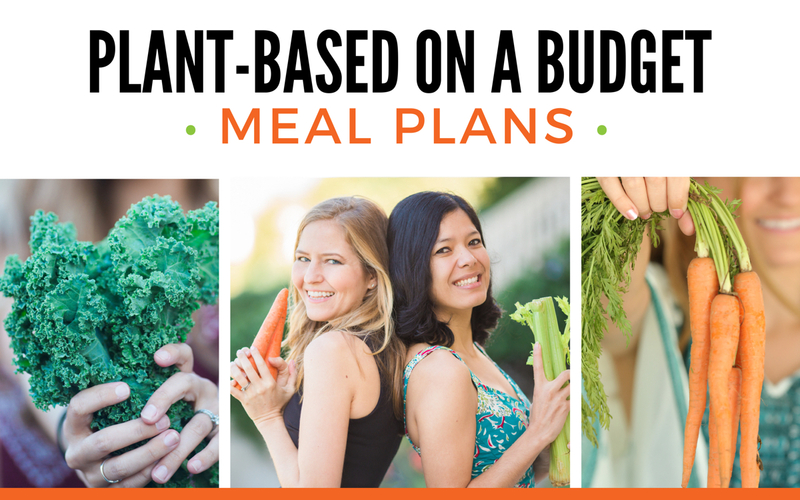 You’ll find plenty of budget-friendly and straightforward recipes for vegan veggie stock so if you are feeling crafty; you can make your big batch and freeze it on ice molds for later. Bouillon broth to the rescue! Thanks to the boom of vegan products on the market we have great plant-based alternatives for stock available to us. My favorite one is “Better than Bouillon. They have a vegetable base and a mushroom base that are clearly labeled vegan, and they’re delicious. You can also find vegetable bouillon cubes (like these by Rapunzel) and bouillon powders (like this from Marigold). And of course, you can always buy pre-made vegetable broth at any supermarket. Mushrooms don’t get all the good rep they deserve. These fungi friends are nutrient powerhouses and incredibly versatile! 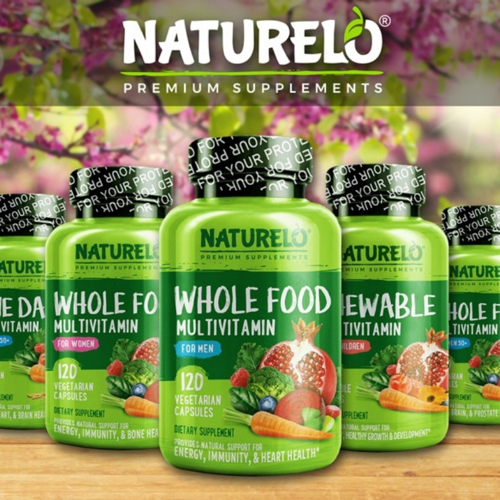 They are high in antioxidants which help eliminate free radicals from our body, and we certainly want them gone since they are toxic chemicals that contribute to cancer growth. Selenium is an essential mineral but tricky to find on the plant-based world. The best vegan source is Brazil Nuts but your second best is mushrooms (which are a lot cheaper). But why is selenium so essential? Well, it has a series of immunity-boosting properties, one of them is helping our body fight infections. They are also high in B vitamins (such as Vitamin B2, B1, B9, B3, and B5) which help the body get energy from food and form red blood cells. So crucial! Is it true I can get vitamin D from mushrooms? The sun vitamin is vital for us! Our body can only produce vitamin D when it’s exposed to direct sunlight for more than 10 minutes which is not an easy task for some us living in the northern hemisphere. 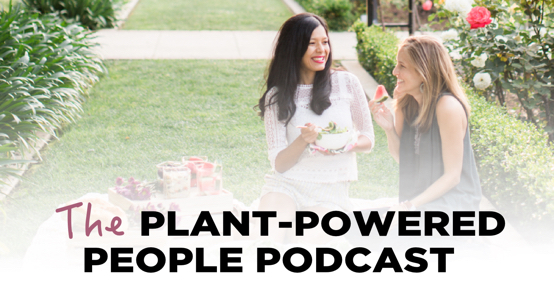 Even in sunny California, you may find yourself lacking in this vital vitamin, which is what happened to World of Vegan founder Michelle Cehn. But fret not, friends. 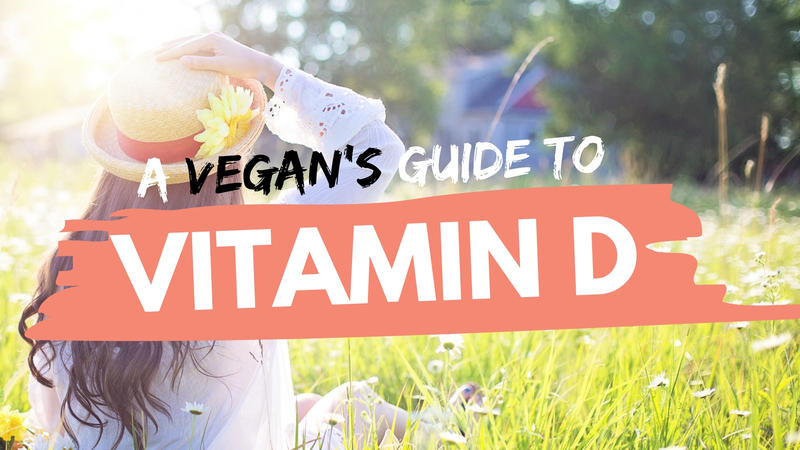 Registered Dietitian Taylor Wolfram wrote an entire article dedicated to vitamin D for vegans. This article covers why so many people are deficient in Vitamin D and how to get enough without eating animals. We depend on vitamin D to absorb calcium and for optimal bone growth—plus, it has a strong impact on our mental health. They call it winter blues for a reason! Yup…some mushrooms have vitamin D! Finally, I can reveal mushroom’s coolest superpower. Dr. Michael Greger, the author of the New York Times bestselling book How Not to Die, tells us that, like humans, mushrooms can create vitamin D when exposed to sunlight. And guess what? That makes them the only plant that generates vitamin D! So try and keep mushroom meals on rotation because they are full of vital nutrients and full of possibilities. My favorite way to eat them is to saute them until brown and then put them on top of creamy soup. Yum! If you’re excited to include more mushrooms and try new recipes, you can try this Mushroom Pate. And if you’re eager to find out more about the healing power of plants you have to watch this mini-documentary. My husband and I cook on a daily basis for three hungry (vegan) boys, and I have days where I don’t know and I run out of ideas. More than once I have gotten a few sighs after asking my kids if they would like to have pasta or curry for dinner (those are on repeat in our household!) So this a perfect option for a switch up! Filling and tasty, easy and quick. Win-win! We realize that for our household eating together and the same dish is best. It is that one moment where we are all facing each other and talk about our day. Don’t get me wrong; it’s chaotic! But, if we try to focus on the moment and the fact that we are eating good and healthy food with our precious family the rest just becomes a circumstance. Same family but completely different! Bottom line is if I were to prepare something for each of them or if I try to make a meal with only the ingredients they all like then I would spend my whole day cooking. So one meal for all and we all have to accept that some days we will love our meals more than others. That’s why having this easy but delicious meals available are so important to our family and, I’m sure, for yours. We want to try to remove the stress from weekday dinners and show our little ones that this is “our” moment to be present and feel like a family. It’s one small step towards finding a greater balance between work and family life and setting an excellent example for the little ones along the way. Hungry for more recipes like this? You can pick up your copy of Amanda’s gorgeous book Great Vegan Meals for the Carnivore Family. 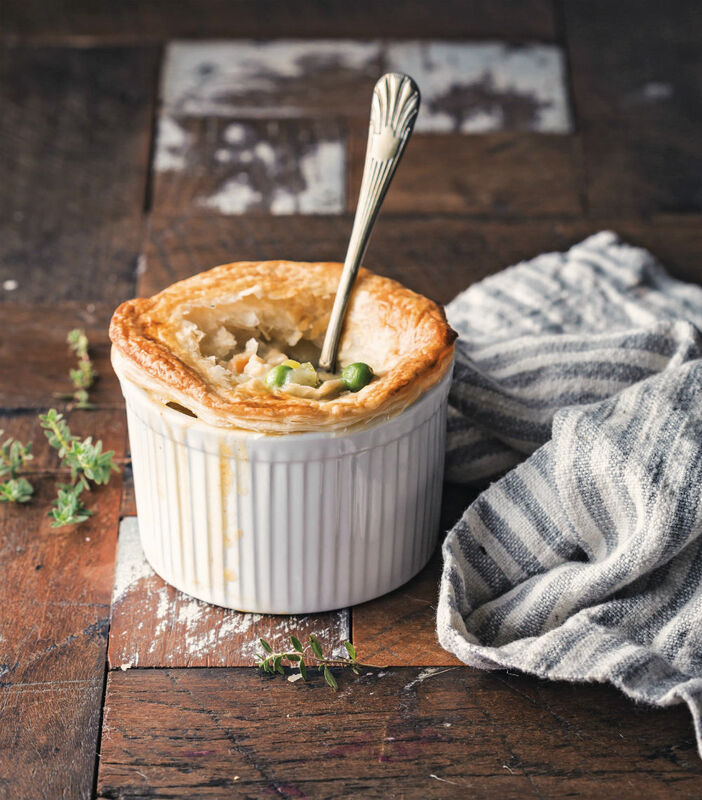 This vegan chicken pot pie recipe was reprinted with permission from Great Vegan Meals for the Carnivorous Family by Amanda Logan, Page Street Publishing Co. 2018. Photo Credit: Amanda Logan. Please note that this article contains Amazon affiliate links, and shopping through these links supports World of Vegan.